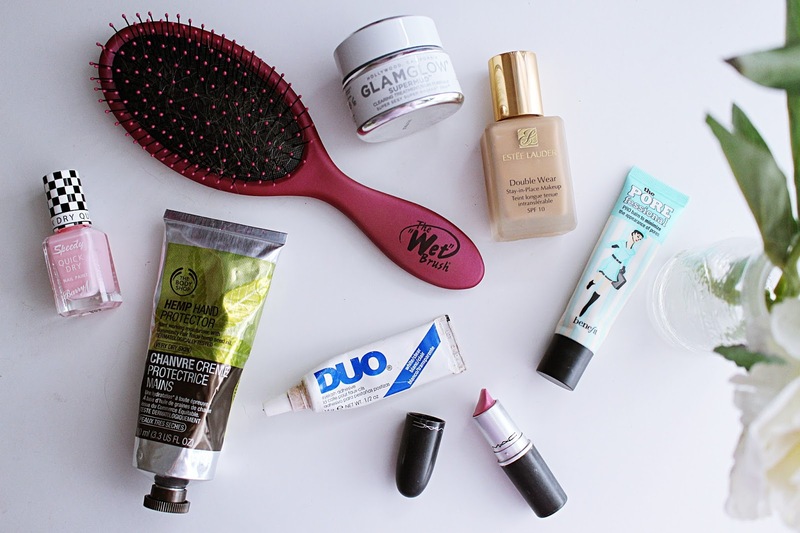 We all have a selection of beauty products that never fail to let us down. Whether it's our favourite body lotion, the shampoo that always guarantees us super shiny hair, or even a toothpaste that makes our teeth whiter than ever - there are just some products that we swear by, and keep going back to. A staple in my beauty collection for over a decade now, Barry M nail paints are everything you could ask for from a nail polish brand - they have a huge selection of shades, are fantastically priced, release new collections all the time and are long-lasting and easy to apply. I can't count the amount of Barry M polishes I have in my collection - they were the first nail polish brand I fell in love with and haven't let me down since. If you've yet to try a Barry M Nail Paint - what are you doing? For around £3.99 each you really can't go wrong. I fell in love with the Tangle Teezer and thought that would be my lifelong staple hair brush - until The Wet Brush came along. This brush looks like any old brush, but works amazing well at detangling my hair without pulling, and comes in a big range of different designs and colours too. I have two of these and always reach for them over my Tangle Teezer - they're around the same price but so much better. Whilst I am a fan of beautifully scented, glamorous hand creams, when it comes to a fail-safe cream which guarantees my hands are soft and nourished, it's always going to be The Body Shop's Hemp Hand Protector that I reach for. Perfect for really dry skin, the Hemp Hand Protector contains hemp seed oil to moisturise and hydrate skin. It's not the prettiest of products and doesn't really have a very fragrant smell, but for a fuss-free, no-nonsense hand cream for very dry skin, it's the best. Being a false lash addict, this glue was always going to feature in my 'must have' products. Whilst Eylure's glue (sort of) does the job, Duo is just the best if you want the security of knowing your eyelashes won't fall off, even after sweating it out at the gym (not that I wear lashes to the gym, but you never know) or getting caught in the wind and rain. In my opinion, it's an industrial-strength lash glue that is worth every penny, and one I will always choose over anything else on the market. A cult product in the world of beauty, GLAMGLOW's Supermud mask is by far my all-time favourite face mask. It's not cheap, but for the instant results it achieves, it's worth every single penny. The Supermud Blemish Mask works deep down to draw out impurities, and leaves your skin feeling so smooth and looking visibly clearer afterwards. It's the one product I always reach for when my skin needs a pick-me-up, and I completely recommend it if you suffer with breakouts, acne-prone skin, or oily skin with blackheads. I can't rave about it enough. For their range of colours and overall quality, I couldn't resist not featuring MAC lipsticks as one of my go-to, never-lets-me-down products. With a big varied range of different finishes, new collections coming out all the time and the phenomenal quality of these lipsticks, they just had to make the list. They're not the cheapest of lipsticks, but I think for the price you really can't go wrong. They're also some of the few lipsticks that I actually get to the bottom of, mostly because I love them so much that I wear them all the time. You've heard me gush about this foundation countless times, and in terms of products that never let me down, it is right at the top of the list. It gives incredible coverage, is the most long-lasting foundation I've ever tried and leaves my not-at-all flawless skin looking flawless. It's pricey, yes, but the reason I go back to it every time I run out is because it's basically the best there is. I don't think I'll ever find another foundation that compares! Another product I've gushed about before, Benefit's Porefessional is the perfect partner for Double Wear and is the best primer I've ever used. It blurs out pores, mattifies skin and keeps my foundation in place all day long. Again, it's not cheap, but it works and for that reason, is totally worth it. Which products never let you down? Let me know!